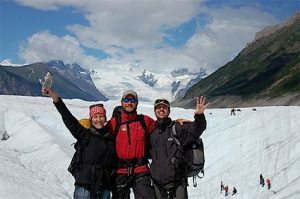 St. Elias Alpine Guides offers trips that combine multiple activities, often tied together with transportation and lodging in one hassle-free package. Below are some of the pre-designed multi sport adventures trips that offer a mixture of different activities. 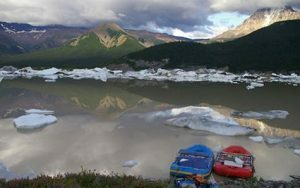 We can also design custom Alaska multi sport adventure trips to meet your exact needs and desires. Please contact us if you don’t see exactly what you are looking for and we’d be happy to get together an itinerary and quote just for you. For someone looking for an epic historical adventure, this trip would start with a flight, progress by foot, and end in a packraft, having covered nearly a hundred miles, starting in the United States and ending in Canada. Difficulty : Requiring Fitness and a Sense of Adventure! 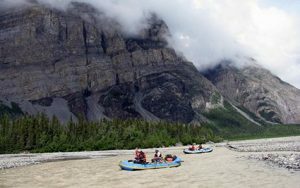 This unique and seldom-traveled Alaska backcountry trip features bush-plane access deep into the wilderness, moderate to strenuous hiking opportunities, and rafting the glacial Nizina River from it's source to where it joins the Chitina River. 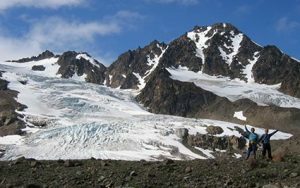 Located within a short bush plane flight of McCarthy, Alaska, the Nizina Glacier offers a spectacular setting for a remote, wilderness base-camping adventure. Surrounded by grand peaks, the massive ice flow of the Nizina Glacier will take your breath away, as it descends from the high snow fields surrounding 13,845 ft (4,219m) Regal Mountain. At the toe of the glacier, an iceberg-filled lake forms the headwaters of the mighty Nizina River. 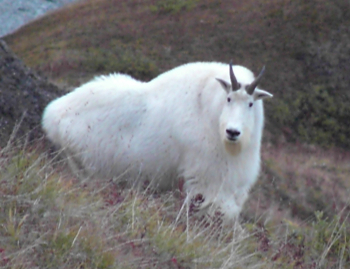 Day hiking opportunities abound and wildlife sightings are not unusual. Combine our Half-day Glacier Hike, Kennecott Town Tour and Raft & Flightsee Trip for 2 days of great activities at a discounted price! 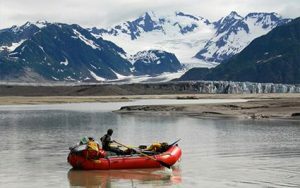 The Source to Sea Expedition is the ultimate Alaska Rafting Trip. 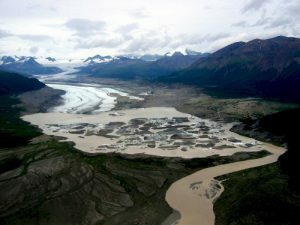 Starting with a bush plane flight into the glacier at the headwaters of the Nizina River and ending on the delta of the mighty Copper River, this amazing journey will take you from the interior to the coast on the most amazing journey of your life. Our Skolai Pass to the Nizina River Multi-Sport adventure traverses some of the most impressive terrain the Wrangell-St. Elias has to offer! 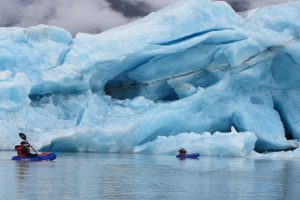 After 7 days of backpacking through the spectacular alpine and over glaciers, you'll board our comfortable rafts for 3 days of comparative luxury while floating Class II-III whitewater beneath mile-high cliffs.